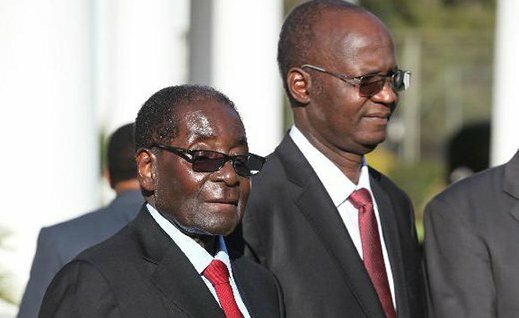 In a wide-ranging interview with the Big Saturday Read published at the weekend by Alex Magaisa, former Higher Education minister Jonathan Moyo said Mugabe considers what his two former lieutenants did a "great betrayal" and "the utmost treachery". "Although he got various reports from different sources about the planning of the coup, President Mugabe did not believe those reports because he trusted Mnangagwa and Chiwenga more than he trusted those who gave him the reports," he said of the November 2017 coup that toppled Mugabe. "It is my considered judgment that President Mugabe genuinely and truly believed that Mnangagwa and Chiwenga would never countenance toppling him from power." He said Mugabe did not believe his ouster from power would go ahead after his engagement with Chiwenga, who seemed more concerned about his security of tenure and Zanu-PF succession, which he wanted settled at the December 2017 special congress. "In fact, Chiwenga wanted President Mugabe to remain in office to serve out his term, but to hand over leadership of the party at a special Zanu-PF congress." Moyo, who was forced to flee from his house and seek shelter at Mugabe's "Blue Roof" mansion, said if the soldiers had found him at home in the wee hours of November 15, 2017, they would have killed him. "There was no question of arresting me. Chiwenga's soldiers were on a mission to kill me," he said. He said while he could not use the information he had to pre-empt the coup, he used it to whisk his family to safety because his house "had been earmarked as a death trap for me with unknown risks to my family", in light of how it was intruded by soldiers. "What I can say for now is that President Mugabe was told of fatalities by security organs the day he officiated his last State university graduation ceremony as Chancellor at Zimbabwe Open University during the coup on November 17, 2018. Otherwise, yes, there were fatalities and the truth will soon or later come out as it always does," he said. On the June 30 elections that sought to sanitise Mnangagwa's presidency, Moyo said all the three conflicting results declared by the Zimbabwe Electoral Commission and endorsed by the Constitutional Court showed that half of the electorate did not support Mnangagwa. "This point should be emphasised. Mnangagwa does not have the majority support of the electorate and that is why he has a legitimacy crisis. He is a divisive leader with divided support, in power only because of the military that installed him in the first place," he said. "The July 30 elections bestowed on Mnangagwa only a veneer of legality, not in terms of the rule of law, but in terms of rule by law. The legal rules that were used to organise and run the July 30 elections were superintended by a coup government that came into power via the gun." Moyo said Mnangagwa and Chiwenga were baying for his blood and had been pursuing him "under false Zimdef [Zimbabwe Manpower Development Fund] allegations". "But the presumption that anyone, especially a person like me, could become the brains behind Mrs Mugabe is preposterous. Becoming the brains behind Mrs Mugabe would have meant coming between the President and his spouse. That would have been reckless and suicidal," he said. "The proposition that the coup was done to stop Mrs Mugabe from succeeding her husband is uncivilised and undemocratic. But on whether I understood people's concerns that Mrs Mugabe could have ended up on the wheel, the answer is yes, of course, I did. How could I not? I, however, think that people should have been equally concerned about Mnangagwa ending up on the wheel." Moyo also said the United Kingdom and China supported the coup that swept Mnangagwa to power, and described former British ambassador Catriona Laing as "a coup busybody". "I would not be surprised to learn that her CV now lists 'toppling Mugabe, who appeared invincible', as her most outstanding diplomatic feat in her career," Moyo said.